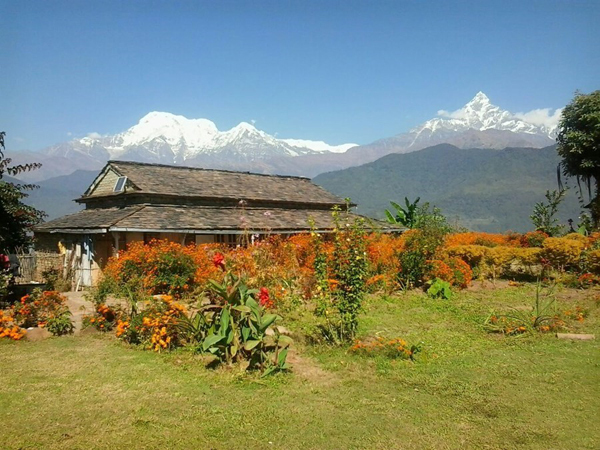 One day yoga hike to Australian Camp offers a great panorama of the whole Annapurna mountain range combined with refreshing outdoor yoga and a glimpse of local culture in the traditional village of Dhampus. We get a different vantage point onto the mountains from here and from this angle we can clearly see where the "Fish Tail" mountain gets its name from. 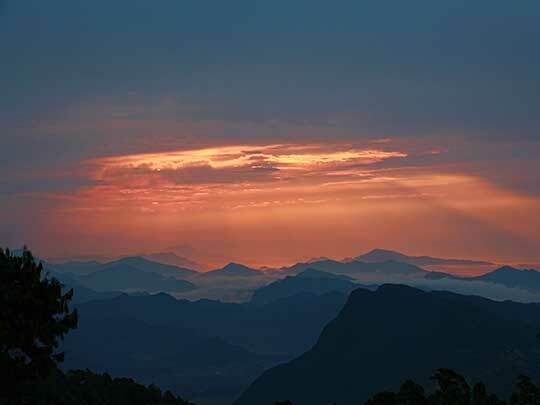 The starting point of this day hike is Khade which we reach by private transport. 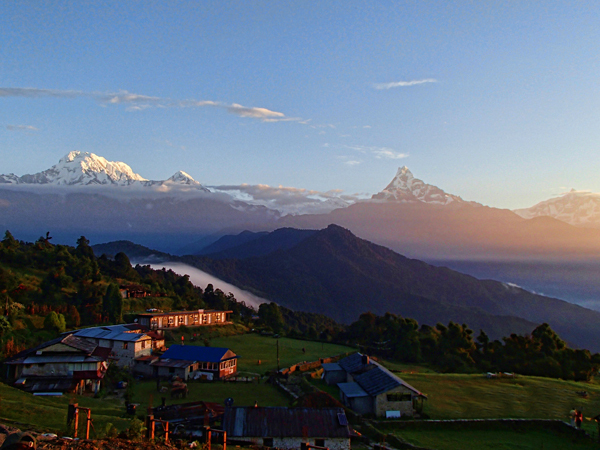 A gentle climb from Kande through the villages and forests will take you to Australian Camp where you will have great mountain views of the Annapurna Range. This is where we have our outdoor yoga and meditation with spectacular views all around us. 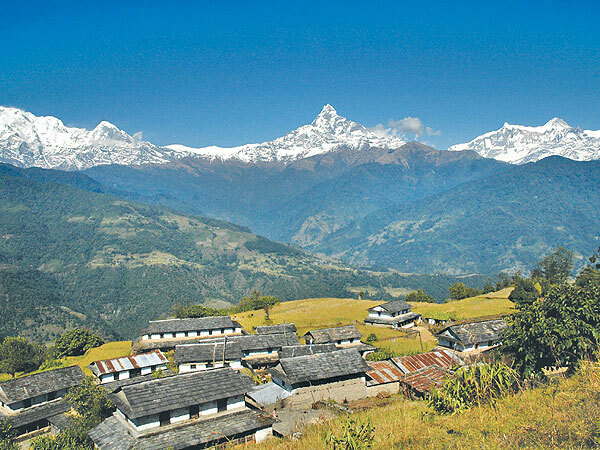 After breakfast we continue on from Australian Camp to Dhampus, a picturesque traditional Gurung village where we get to witness a sample of local life. Leaving Dhampus we descend to Phedi from where we get transport back to Pokhara. 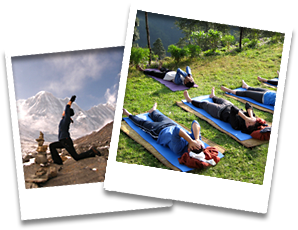 This yoga day hike has it all - nature, mountains, local culture and mindfulness brought forth through yoga and meditation in a beautiful natural setting.